Our accredited distance learning master's degree program—Master of Science in Holistic Natural Health & Nutrition—helps prepare students to teach others about natural health and healthy living. Included in the holistic health degree are courses about superior foods and nutrition, the advantages of organic farming, and more. We will soon be offering a holistic nutrition degree online as one of the nutrition degrees we provide at our holistic nutrition and natural medicine schools. This nutrition course covers the nutritional values (vitamins and minerals) of natural foods and presents the superior advantages of organic farming versus chemical farming. The course also exposes the destructive and unbalanced methods of commercial farming and their toxic effects on human consumption. You'll learn step-by-step, with pictured illustrations, how to garden in a home-restricted area, as well as how to farm on a larger piece of land. "All COURSES AND MATERIALS ARE SUBJECT TO CHANGE AT THE DISCRETION OF THE COLLEGE OF NATURAL HEALTH"
"The human body has intricate systems that depend on one another to operate efficiently. 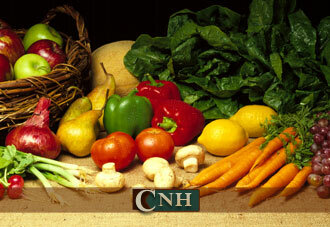 Holistic Nutrition focuses on the importance of creating balance where imbalances exist."